In 1943, a brilliant entrepreneur called Ingvar Kamprad, founded a small company in the county of Småland, southern Sweden. He called it IKEA, and he hoped it would help him accomplish his vision: “to create a better everyday life for the many people”. As the company thrived, Kamprad opened more and more stores around the country, making home furnishing the core of his business. But he soon realised that, if he wanted to fulfil his vision, he could do much more. So, in 1973 a shopping centre was built next to the existing IKEA store in Sundsvall, Sweden. The idea was that it would, not only drive visitation to the store, but also cooperate with other partners to strengthen the offer. 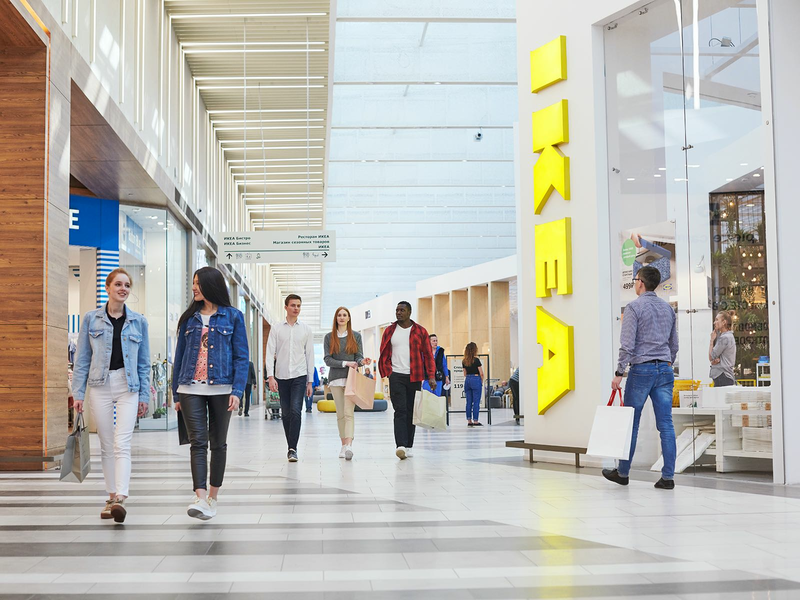 As the demand for more shopping centres grew, it became clear that another business connected to IKEA would be developed. And that’s where we came to help. From the small centre in Sundsvall (which, by the way, is still there and going strong) we’ve travelled a long way. After a big success in Sweden, in the 1990s we developed our first centres in Poland, followed by other European countries up to our latest opening in Croatia in 2018. In 2002, we went all the way to Russia, and in 2014 we headed to China. We haven’t always called ourselves with one single name through the years, and it wasn’t until 2015 that we became a unified entity, but one thing is for sure: today we are Ingka Centres and we still work hard to create a better everyday life for the many people. Since the origins of Ingka Centres are nestled within those of our largest partner IKEA, we share with them not only the vision, but also the values. Our culture of togetherness, simplicity and giving as well as taking responsibility drives us to constantly develop our ways of working. We strive every day to come up with new ideas that help us renew and improve our offer, as well as set leading examples for everyone to take inspiration from. We always put a lot of effort in trying to be different – not just for the sake of it, but to give a meaning to everything we do and add value to our business. All of this with cost consciousness in mind and with respect for the people and our planet.